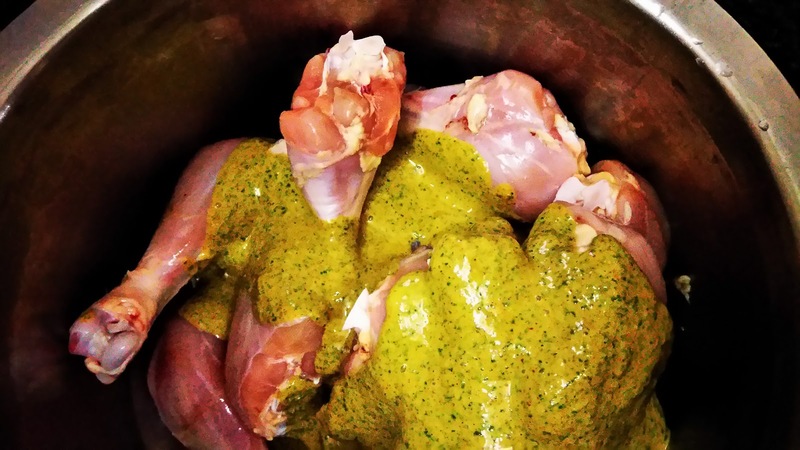 Brine chicken overnight. For brining take lots of water in deep pan or dish. Add 2-3 tsp of salt in it. 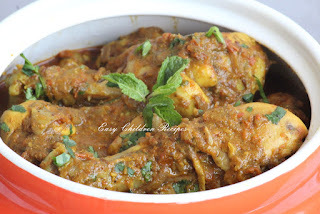 Mix well, soak washed chicken pieces in it overnight in fridge. 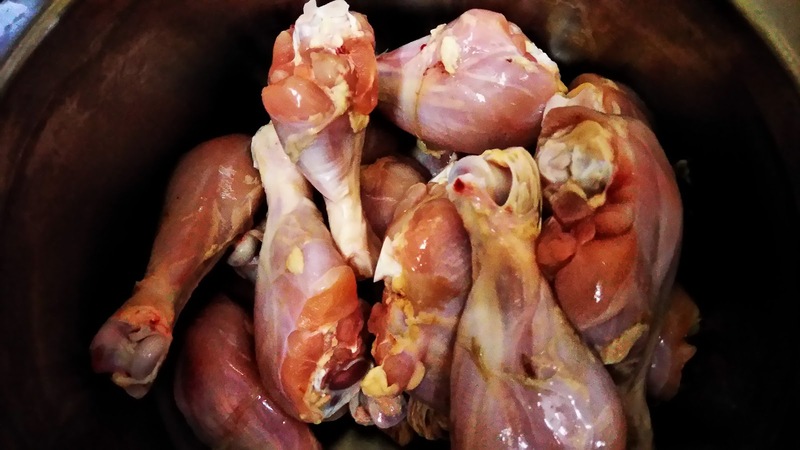 This process will make chicken soft. Brining is optional, if you are running out of time skip this step. 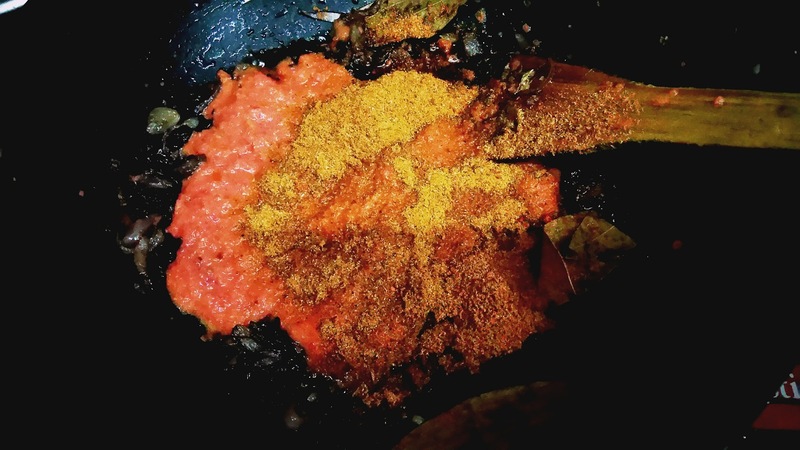 Mix all the ingredients mentioned under marination, put it in grinder and give it a good pulse till it become paste, as shown in pic below. 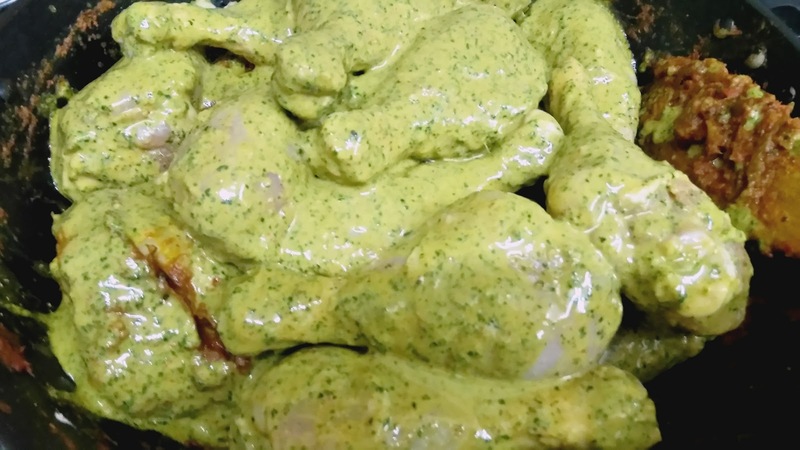 Throw the brine water in which chicken was soaked and marinate it with the mint – curd paste. Keep this aside or in fridge for 2-3 hours. 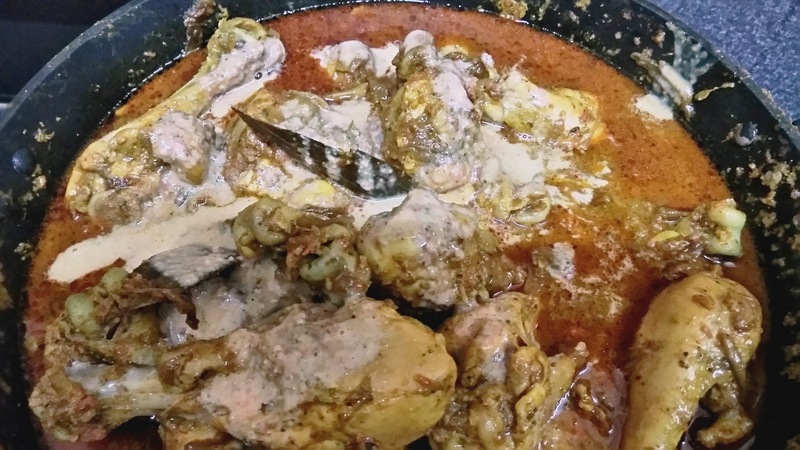 Heat oil in pan, add tej pata, cloves, cinnamon, nutmeg and cumin seeds. 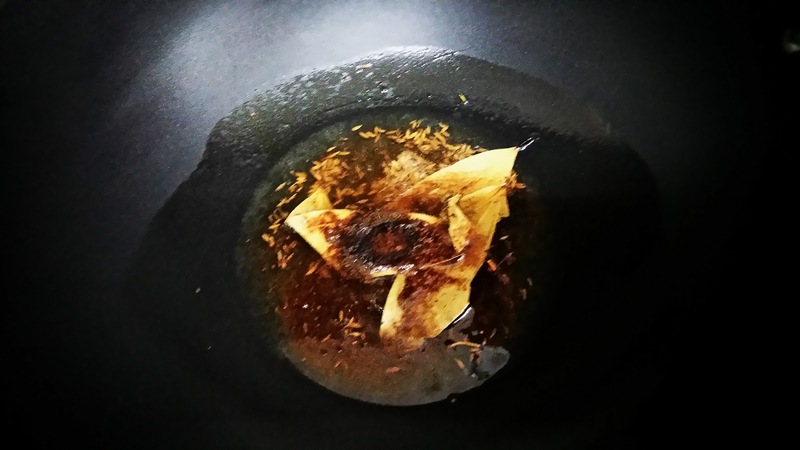 Sauté till fragrant. 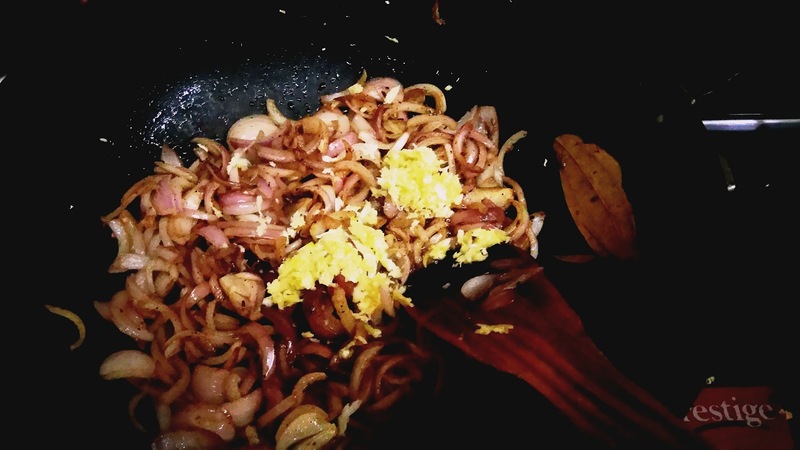 Add sliced onion, sauté till golden in colour. 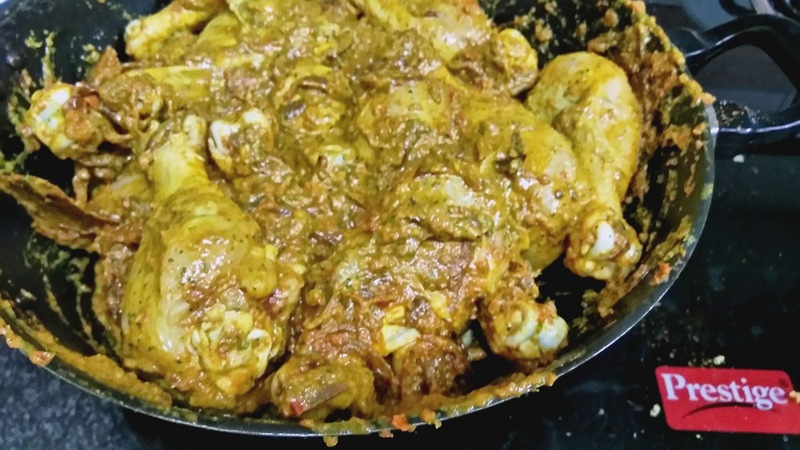 Add tomatoes, ginger-garlic paste, salt, turmeric powder, coriander powder, chicken masala and garam masala. Mix well, cover and cook for about 4-5 minutes. Turn off the flame and let it come down to room temperature. Make coarse paste using grinder. 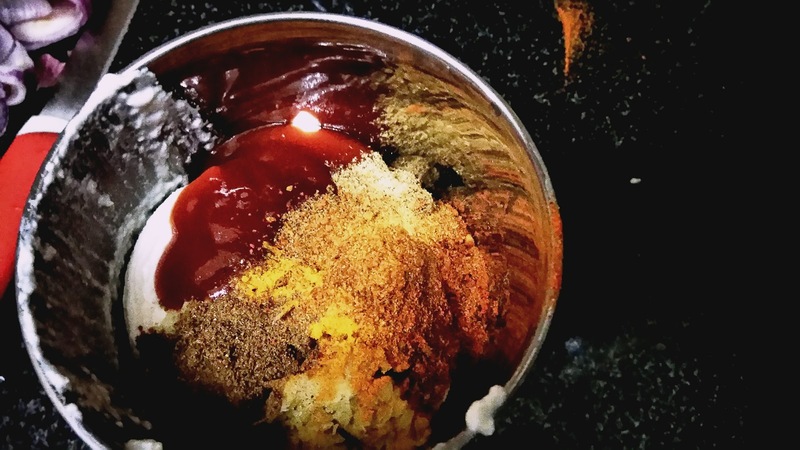 Transfer back in pan or kadai and let it simmer on low flame till it start releasing oil or start leaving the sides of pan. Add marinated chicken in it. Mix well. 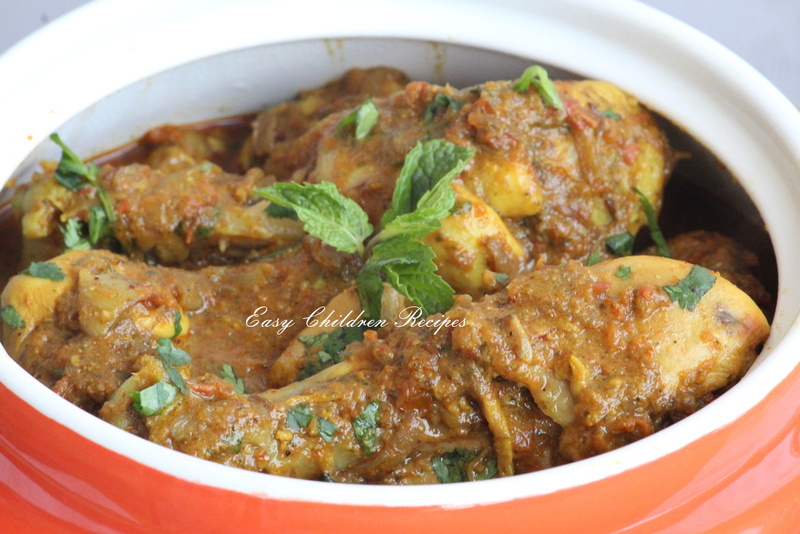 Cover and cook for 15-20 minutes or till chicken pieces are cooked. I used only leg pieces so it took 20 minutes, if you are using whole chicken it might it more 10 minutes to cook. 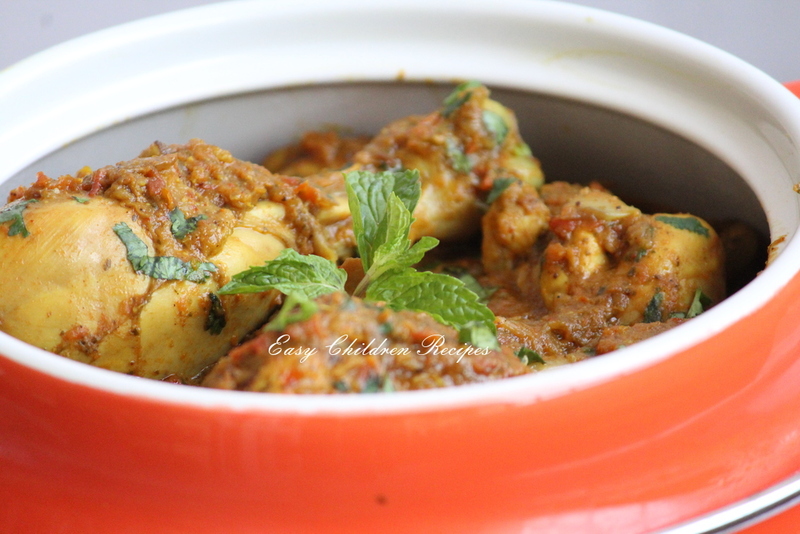 Garnish with freshly chopped coriander leaves and serve hot with chapati or tandoori roti without tandoor. 1. Add hung curd or thick and all the spices mentioned under marination. 2. Mint leaves and coriander leaves too. 3. Make a smooth paste. 4. Throw brine water in which chicken was soaked overnight. 5. 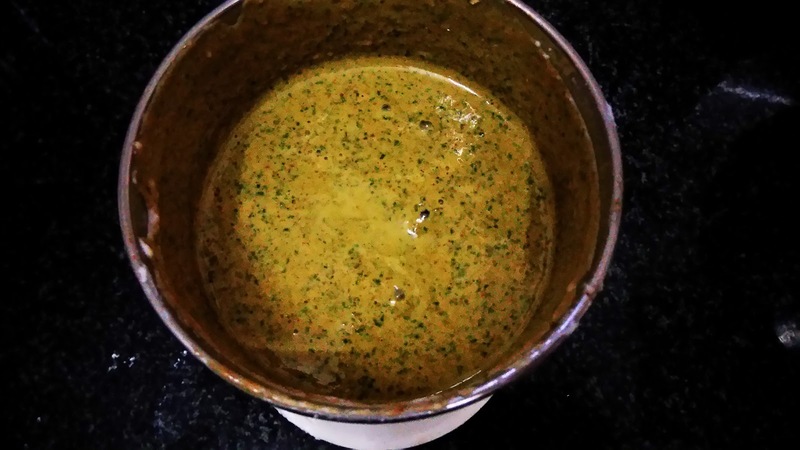 Add mint curd paste. 5. Mix well and keep aside or in fridge for 2-3 hours. 6. 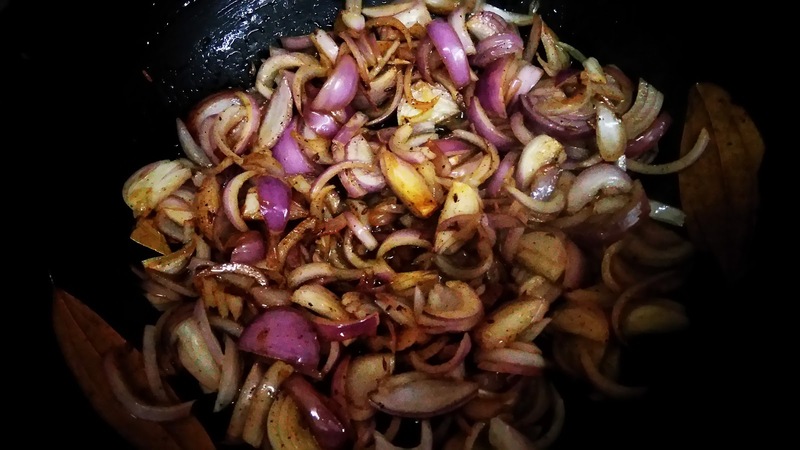 Heat some oil in pan, add cumin seeds, tej pata, cloves, grated nutmeg and cinnamon stick. 8. Saute till golden in colour. 9. Add tomatoes and all the spices mentioned under gravy. Cover and cook for 2-3 minutes. Turn off the flame, let it come down to room temperature. 10. 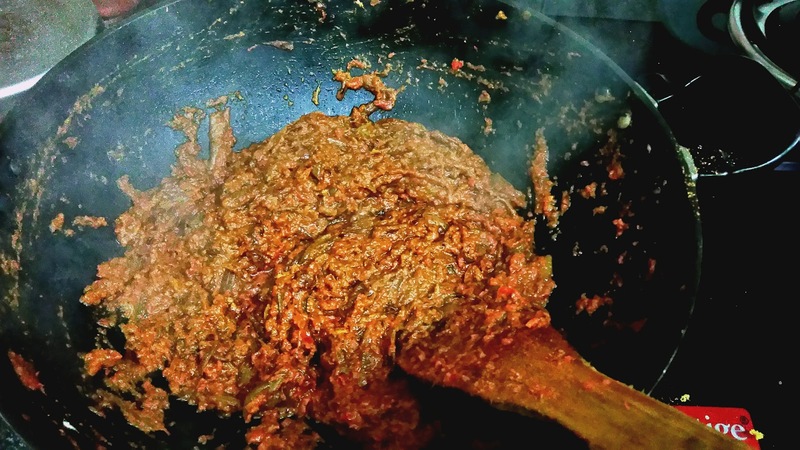 Make paste using grinder, cook on low flame stirring occasionally till it start releasing oil or start leaving the sides of pan. 11. 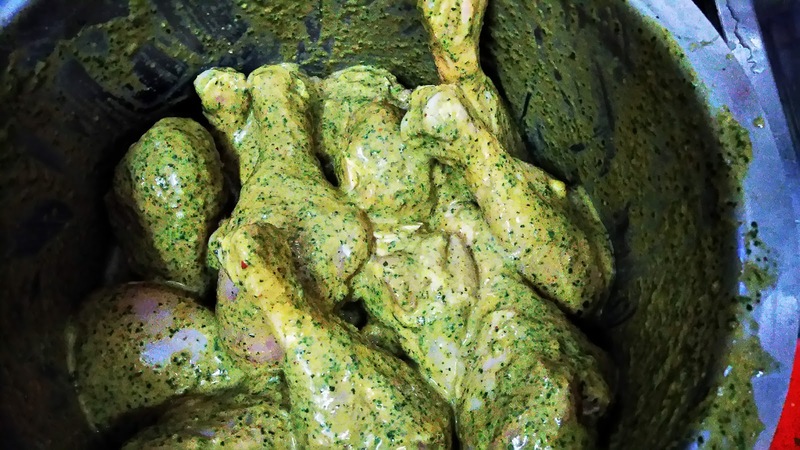 Add marinated chicken pieces. 13. Cover and cook till done. 14. 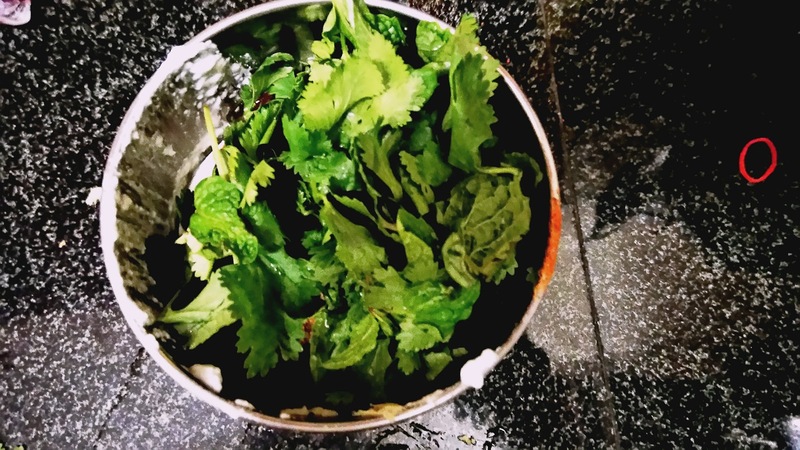 Garnish with freshly chopped coriander leaves and serve hot.